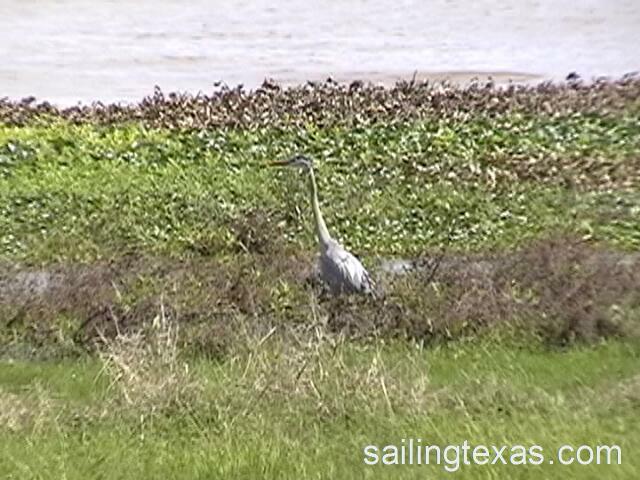 We found Lake Texana when driving back from the coast, and stopped by Lake Texana State Park to see what it was like. It was better than I expected, lots of trees, vegetation, and wildlife. Located about 6 miles east of Edna, Texas on highway 111, the Park entrance is on the north side of the road on the west side of the lake. A wide variety of trees, shrubs and vines, along with the shallow coves and sloughs and creek bottom woodlans makes for a wide variety of wildlife. 225 bird species have been spotted in the park, aligators and other reptiles and mammals live here. 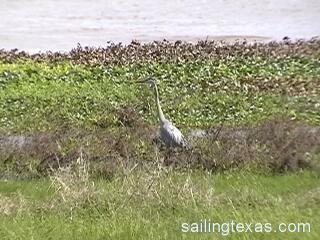 Lake Texana is 575 acres when full, and has 125 miles of shoreline. The lake was full March of 2007 when we were there. While the park has a boatramp, sailors are advised to launch on the south side of the lake, on the other side of the road, where the water is presumably deeper. There is a non electric camping area with 55 spaces, it was empty when we were there except for the camp host. The electric camping area on the point has 85 spaces. Near the boat ramp are picnic spots and the group pavilion. The park has several nice fishing piers.